Article written by Bike Exif about CRD27 Cafe Racer. 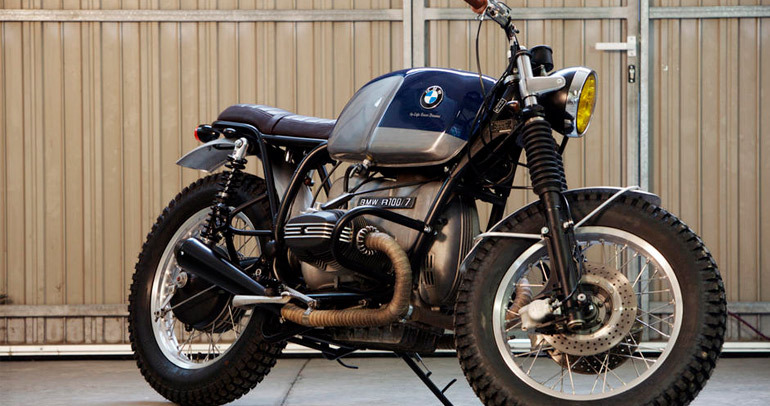 The BMW R-series has joined the Honda CB750 and Triumph Bonneville in the pantheon of custom motorcycle platforms. With a remarkably distinctive-looking engine and a bulky, high-capacity tank, it’s not a conventionally ‘pretty’ bike. But love it or loathe it, the big BMW sure looks the business. This is the 27th build from the Spanish workshop Cafe Racer Dreams. 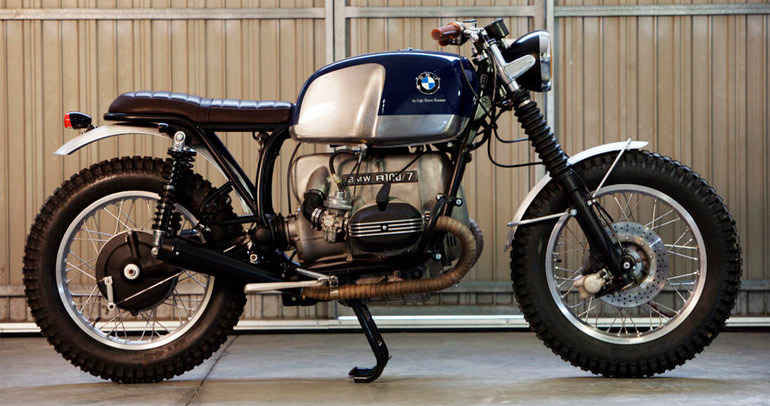 A 1978 R100/7, it amplifies the strengths of the vintage BMW aesthetic. The back end is completely new, sporting a hand-made leather seat and supported by Harley-Davidson XR1200 shocks rebranded with the BMW logo. The tank has been stripped back to metal, partially repainted in Marine Blue, and clear-coated. The fenders are custom-fabricated and the frame has been refinished in satin black. CRD’s signature Renthal Ultra Low bars are fitted with new enduro-style controls, a compact speedometer and classy brown Ariete grips. And in a welcome departure from the ubiquitous Firestone Champion Deluxe tires, the BMW is shod with Pirelli’s highly-rated MT 43 Pro trial bike rubber: A modern DOT-legal tire that works well on the road, as well as on looser surfaces. The MT 43 is only available in 18” and 21” sizes, so the BMW’s front wheel has been dropped down a size to 18”—the same as the rear. The result is practical and stylish in equal measure: A dash of Latin flair added to Teutonic efficiency. 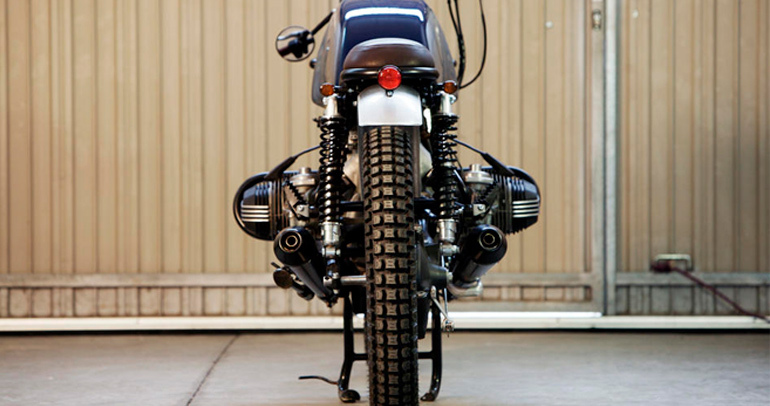 Click here to read the full article about CRD27 Cafe Racer on Bike Exif. If you click here you can read the article that The Bike Shed wrote about CRD27.